Audi's A3 sedan, so far anticipated to be the lowest price car from the German carmaker has been spied testing around in Mumbai a couple of times. Audi began producing the A3 sedan in Gyor, Hungary in early June. European dealers have the car on sale, that offers the same comfort of the hatchback variant (has seen sales of 3 million units in 17 years across 117 countries), but with an extra spacious 435 liter boot. Audi is banking upon the emerging markets like China and India for garnering volumes for the yet to be launched car. 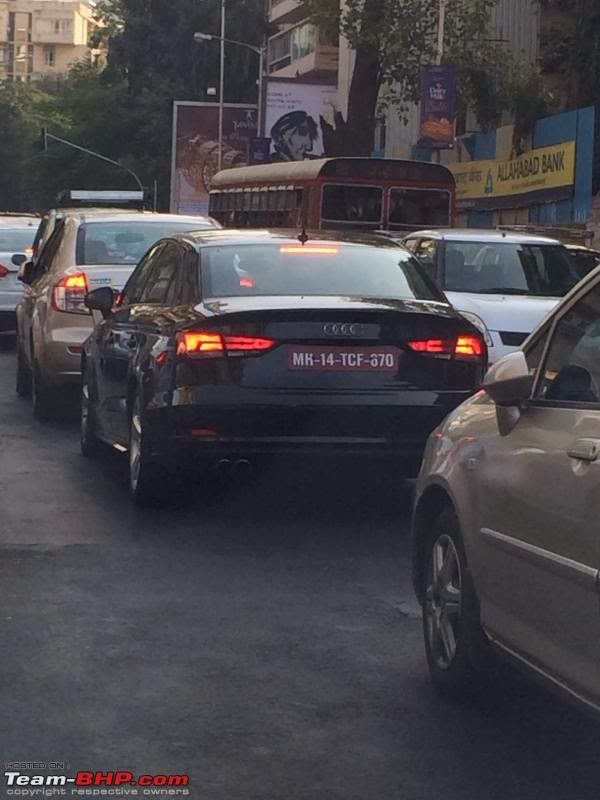 The car has earlier also been spotted testing in Mumbai and here are the spy shots of the same. 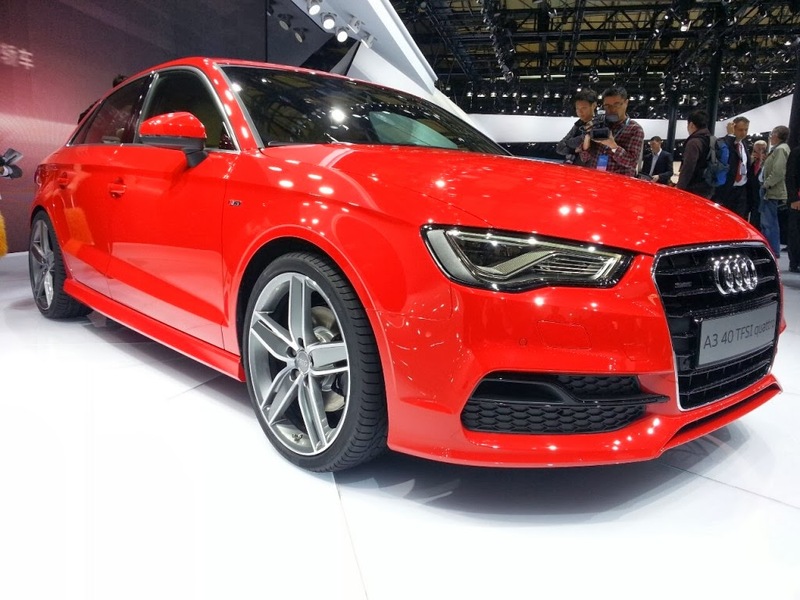 The A3 is offered with three engines in the EU – 1.4L TFSI, 1.8L TFSI and 2.0L TDI. The 1.4-liter TFSI makes 140 hp and 250 Nm and is paired to a seven-speed AT, the 1.8-liter TFSI makes 180 hp and 250 Nm and is paired to the same gearbox, while the 2.0-liter TDI churns out 150 hp and 320 Nm and is matched to a six-speed manual gearbox. The new car would be showcased at the upcoming 2014 Auto Expo here in Greater Noida. Stay tuned for more.